Our lab focuses on understanding the role of fundamental evolutionary forces such as mutation and recombination in genome evolution and how environmental stressors modulate these processes. 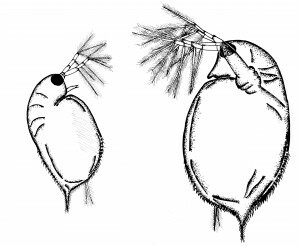 Current research projects include examining how mutations confer obligately asexual reproduction in a common microcrustacean Daphnia pulex (water flea) and the distribution of recombination events in the genome of D. pulex and closely related species. The lab is also interested in developing cutting-edge genomic and bioinformatic tools. For example, our novel experimental and bioinformatic pipelines for whole-genome sequencing of single sperm from Daphnia to study recombination events have recently published. For more information on research, please see the page for Research interests. I am currently looking for 2 PhD students to work on genome evolution. Multiple positions for undergraduate assistants are also available. For more information, please see Open Positions.